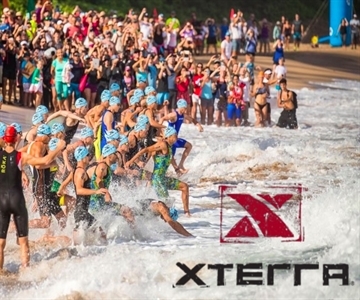 A sneak peek at the 23rd annual XTERRA World Championship tentative elite race start list reveals a wealth of past champions in the men’s lineup, and a golden opportunity for the women's elite field. The elite men’s race features the fearsome foursome, as each of the last four men to win the XTERRA World Championship are on the start list, including the defending champ Bradley Weiss from South Africa, the 2016 champ Mauricio Mendez from Mexico, the 2015 champ Josiah Middaugh from the U.S., and the 2014, 2013, and 2008 winner Ruben Ruzafa from Spain. Each of those four has made Maui their A-race for the season and will no doubt come into it in the best shape of their life. While it’ll be tough to top any of those guys, there are many who will try. Francisco Serrano from Mexico is just a year removed from winning the ITU Cross Tri World Title and was fourth in Maui last year. Arthur Forissier from France stands out as one of the best in Europe this year with wins in Greece and Switzerland. Sam Osborne from New Zealand got the better of his training buddy Brad Weiss at XTERRA Albay. Francois Carloni from France won the XTERRA European Tour. The young-gun Sam Long from the U.S. gave Middaugh and Mendez a run for their money at XTERRA Beaver Creek in July. Karsten Madsen from Canada had a breakout season, Rom Akerson from Costa Rica is a proven speedster, Ryan Petry from the U.S. was impressive in his return to XTERRA this season, as was the Kiwi, Olly Shaw. It’s an incredible field, which will make for an intriguing race on October 28, 2018 in Kapalua, Maui. In the women’s elite race, Bermuda’s Flora Duffy, the first-and-only elite to win four in a row (2014-2017), is sitting this one out after a tough year dealing with injuries. Her focus now is getting the much-needed rest and recovery she needs to build herself back to unbeatable form for 2019. In addition, last year’s runner-up Barbara Riveros, a 3x Olympian from Chile, will be racing the ITU World Cup in Korea on the same weekend to collect points towards 2020 Olympic qualification. Riveros, who finished 2nd three times in Maui, was 5th in Rio and hopes to do even better in Tokyo. “I’m wishing the whole crew a wonderful event and send big hugs to the XTERRA Tribe,” she said. To open the door even wider in the chase for the women’s world title, last year’s third-place finisher Laura Philipp from Germany, who had an incredibly busy and successful summer with five Ironman 70.3 wins, was unable to mix in a qualifying race and therefore ineligible to start in Maui. With the top three from last year out of contention, reigning and two-time ITU Cross Tri World Champ and two-time XTERRA World Champion Lesley Paterson will happily fill the front runner role. The “Scottish Rocket” won all three U.S. stops on the XTERRA Pan Am Tour this season including the Pan Am Championship race and says she’s stronger and faster than ever before. Other top contenders include the reigning and two-time XTERRA European Champion, Brigitta Poor from Hungary, who was fourth in Maui last year. Poor won eight races on the World Tour this year, the most of anyone – male or female. Suzie Snyder from the U.S., who was sixth last year in Maui, is in good form as evidenced by her runner-up showing at the Pan Am Champs last month. Michelle Flipo from Mexico won XTERRA Denmark last month and has shown signs of greatness in the past. Then there is three-time XTERRA World Champion Melanie McQuaid from Canada, one of the toughest competitors ever, who has nearly 20 years of off-road tri experience to draw from. The "Swiss Miss" Renata Bucher is also back, and looking to end her illustrious XTERRA racing career - which includes 33 World Tour wins - on a high note. The list also features XTERRA Asia-Pacific Tour Champion Penny Slater from Australia, XTERRA European Tour Champion Carina Wasle from Austria, and the resurgent Kiwi, Lizzie Orchard, who was 7th at last year’s World Championship.